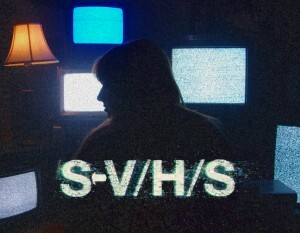 Check Out The New Trailer for the Scary Sequel to ‘V/H/S’!!! I’m very excited that they are making a sequel to ‘V/H/S’. I really liked the first one, which you can read my review of it HERE. I’m so jealous that this sequel will premiere at Sundance this week and I won’t be there. This teaser trailer is a big tease, but we do see some pretty creepy stuff happen, and just like the first film, it will be an anthology movie with several different segments directed by famous horror directors. The directors are Jason Eisener (Hobo with A Shotgun), Simon Barrett (You’re Next), Eduardo Sanchez and Gregg Hale (Blair Witch Project), Adam Wingard (You’re Next), Timo Tjahjanto (Macabre), and Gareth Huw Evans (The Raid: Redemption). That’s one hell of a cast of directors. The official synopsis: Searching for a missing student, two private investigators break into his abandoned house and find another collection of mysterious VHS tapes. In viewing the horrific contents of each cassette, they realize there may be terrifying motives behind the student’s disappearance. I can’t wait and enjoy the trailer. ‘Cult of Chucky’ Is Almost Here! Film Review: ‘V/H/S 3: Viral’!! Check Out the Trailer for ‘The Last Exorcism 2’!! This entry was posted on Wednesday, January 16th, 2013 at 5:38 pm	and is filed under Film, News. You can follow any responses to this entry through the RSS 2.0 feed. You can skip to the end and leave a response. Pinging is currently not allowed. « Johnny Knoxville Talks About Working with Arnold Schwarzenegger and John Waters! !